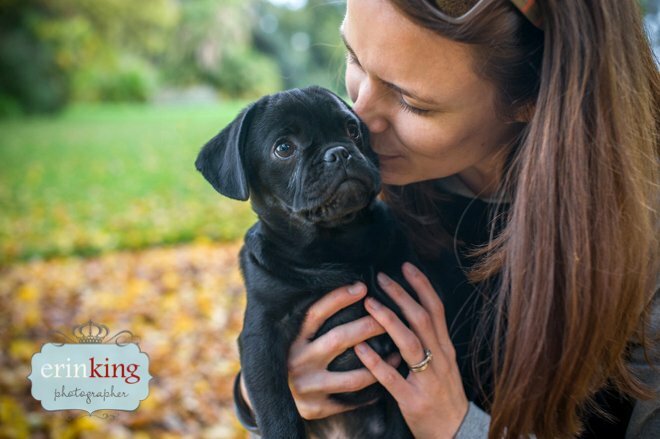 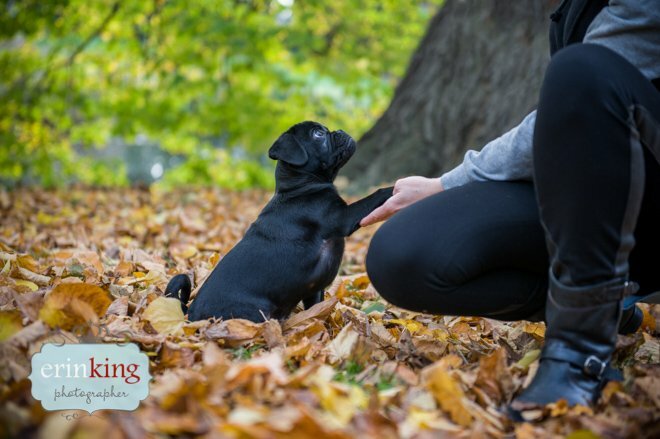 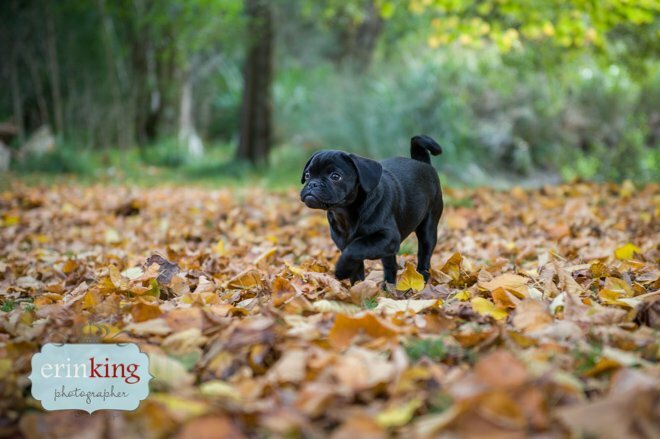 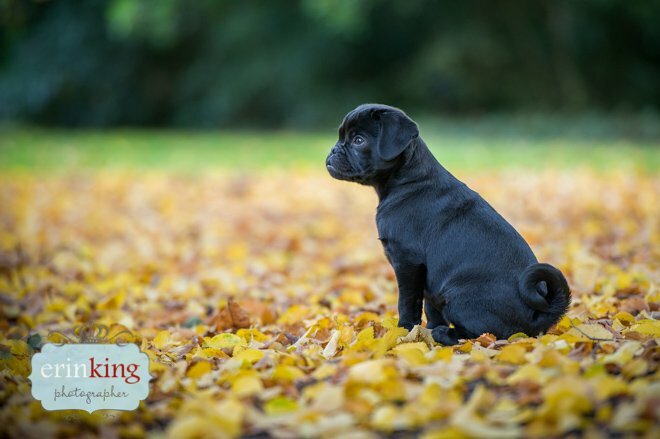 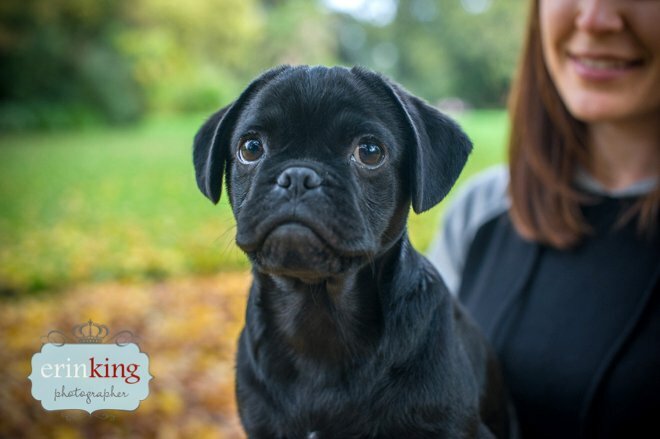 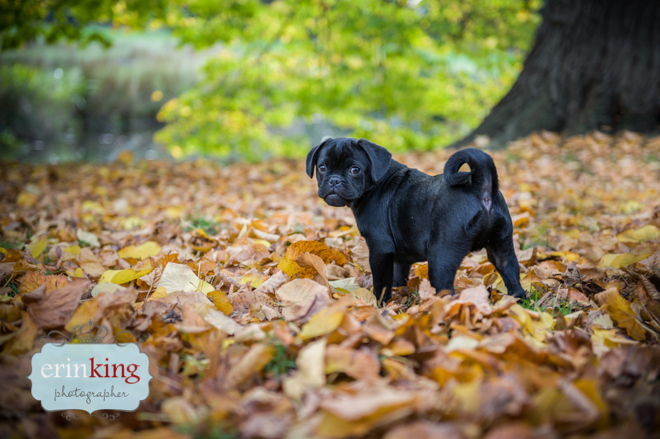 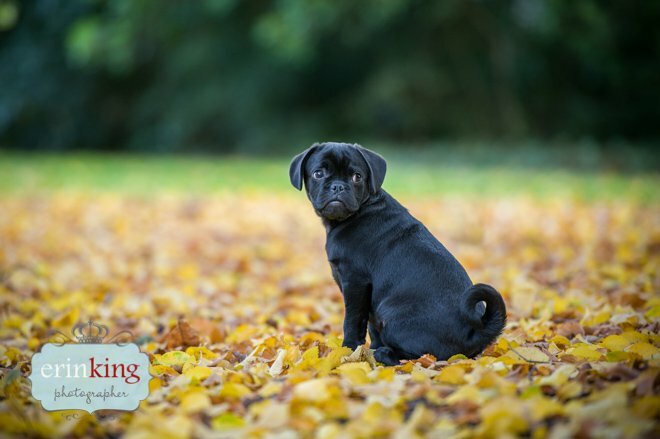 Dearne is one pet owner who knows the importance of getting her pet photographed while he is still a puppy, and this Pugalier puppy, Gus, sure is growing up fast! 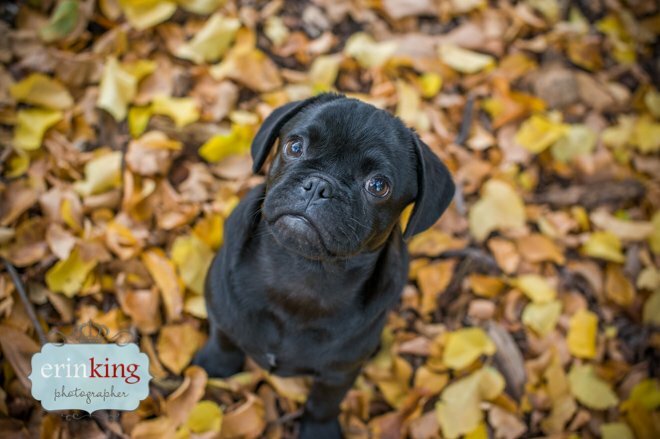 He has already exceeded their expectations becoming bigger already than what they had hoped he would grow to. 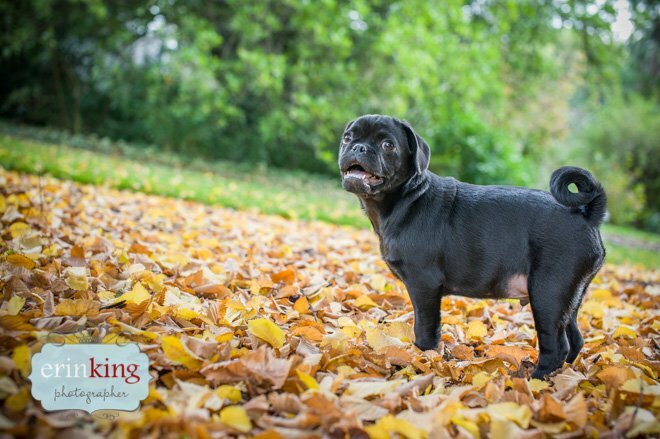 But seriously who can resist that squished face and curly little tail! 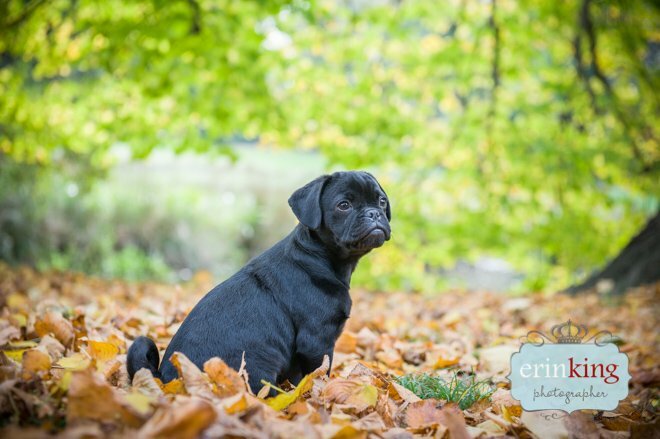 I love pet photography shoots in Autumn, it is definitely one of my favourite times of the year to shoot. 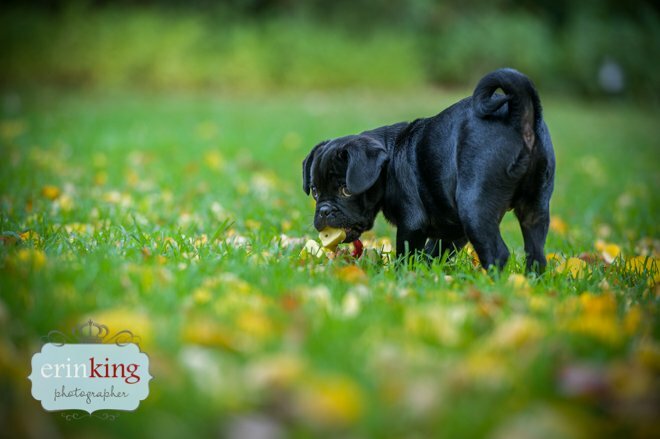 There is always so much variety with colours and the dogs always have such a fun time playing in the leaves. 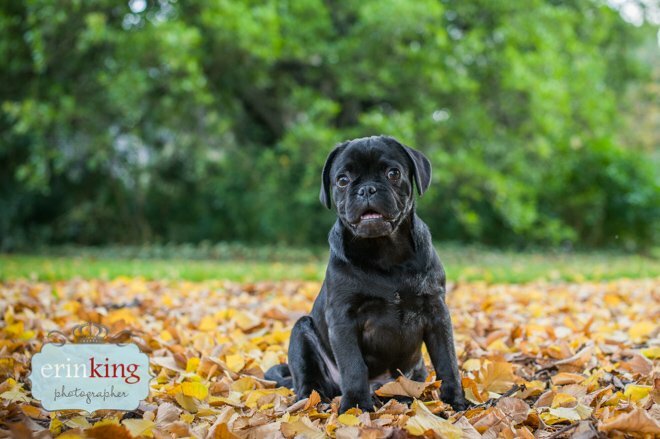 This session took place at the Royal Botanical Gardens in the city.